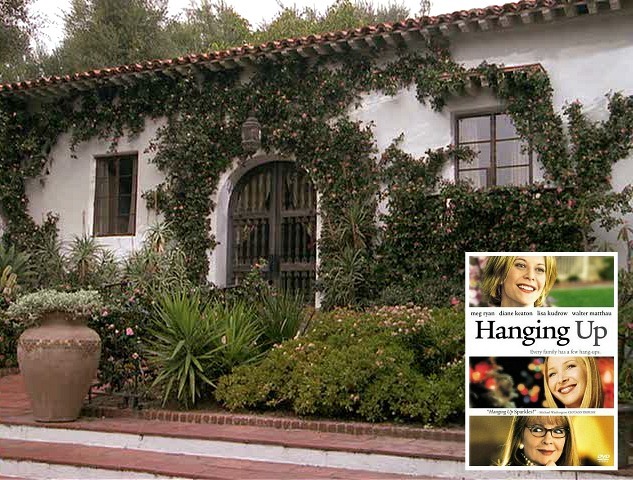 The Delia Ephron movie Hanging Up didn’t make much money at the box office, but the sets made a big impression — especially the Spanish-style bungalow Meg Ryan’s character lived in. Let’s take a closer look at it! The movie was based on Delia Ephron’s novel Hanging Up. The story revolves around Eve, who is stuck with the job of taking care of their ailing, alcoholic, “uproar-man” of a father (Walter Matthau in his final role). Her sisters are too preoccupied with their own lives to be much help. Delia Ephron wrote the screenplay and Diane Keaton directed it. 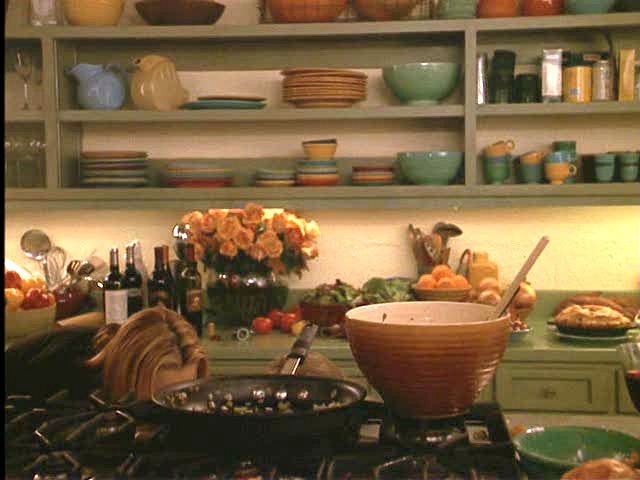 When the movie came out in 2000, open shelves were still an uncommon feature in kitchen design. In the final scene, the sisters bond by having a ludicrous flour fight. I had to roll my eyes at that one. I don’t know any woman who would think it was fun to have flour dumped all over her kitchen in the middle of making Thanksgiving dinner. It looks like they filmed the movie inside a real house. The production notes state that it was filmed entirely in California–mostly in Beverly Hills and Pasadena–so I guess that narrows it down. If anyone has any info, fill us in! I wish I knew the house, don’t though hopefully we’ll find out soon! It’s interesting because I looked at the outside and didn’t think the inside was going to be all that great, but then I looked at the inside and what a fun house. I love how unique it is and I’m usually not a big fan of spanish styled homes. The old guy in this movie is from Dennis the Menace. On https://www.imdb.com/title/tt0162983/locations, it has a Sony Pictures Studios address so maybe it was filmed on a stage. There’s more locations if you want to take a look. What a great house! It exudes that understated luxury that a truly lived-in house has. I like how the fireplace in the family room is almost crumbling and the entry doors are magnificent! Thank you for posting all these wonderful movie houses! .-= Chris´s last blog ..In Close Proximity =-. Now I want to rent this movie just to view the house. Another great Ephron movie with wonderful homes is “Mixed Nuts” with Steve Martin. I accidently happened upon this movie in the cheap movie bin. It really is a cute movie but the decor is wonderful in it. My Mom and I watched it together and we kept saying…look at that…look at those windows…look at that tile…look at those columns. Thanks for featuring me this past weekend. I had lots of people come by my blog to see my fireplace. That was fun. I like the size of some of the rooms! This house seems a little depressing to me, I think……it seems like it needs some “softness” added to it-like area throw rugs in the large hallway, and maybe some soft chenille blankets in the window seats, and warmer colors on the walls-they wouldn’t have to be totally different, just warmer tones. .-= Josanne´s last blog ..The Most Wonderful Time Of The Year =-. Nice Meg Monday Julia! I LOVED this house…but I am such a spanish house ho, anyway. We are a funny lot, aren’t we…watching the movie to get a peek at the house. Guilty! .-= linda@LimeintheCoconut´s last blog ..New growth… =-. I loved the kitchen in the house (the movie is in my opinion pretty good for a sister chick flick) but I am with Joanne that the rest of the home seemed a little cold. But a lot of tile and stone will do that to me! I need some fuzziness in my life! .-= Jess @ Frugal w/a Flourish´s last blog ..The New Dining Area Revealed! =-. First, thanks for your sweet post about my Cape house and it’s curb appeal. 🙂 Also, this is a great movie house. You just can’t beat a good window seat! Love it!!! .-= Robin´s last blog ..My Front Door =-. I love all the research and minute attention you give your ‘movie houses’! Honestly Julia, quite often I don’t see things until you point them out… then I look with new eyes. If this isn’t a gift I don’t know what is – you’re a house whisperer! .-= Annie@A View on Design´s last blog ..Are you KYLIE or a DANNI style? =-. Hi Julia you are a champ thankyou thankyou. I love that windowseat and the kitchen and the family room. I agree with Doug – In The Land Of Women but must tell you I found the house in this movie cold but the gardens looked beautiful. I like most of Ms. Ryan’s movies my fav. is You’ve Got Mail. Regards Esther from Sydney..
Hi Julia, nice to see you and glad you stopped by. I just love these old Spanish style houses in L.A. grew up in one there. — Jane F.
.-= Jane F @ Atticmag´s last blog ..Tuscan Dream Villa House Tour =-. .-= Stephanie´s last blog ..Canvas Unwrapped, Eli’s Story, i carry your heart =-. That places is lovely! Thanks for sharing it. Maybe she’s wearing the long coat to bulk up her frame. She looks scary thin in these shots. Tangent: Do you know anything about the house featured in The Skeleton Key (Kate Hudson)–Felicity Plantation? I’m intrigued with it and can’t find detailed pics. .-= Kelley´s last blog ..The Role of Fear in Soul Travel =-. Knew from the 1st pic with vine on the house it would be good. It is indeed a Vanishing Threshold house/garden. Saw the movie but like your blog post better. More time to look at the garden thru the windows. My sister did something similar with her hair, those bang things, as Meg’s character, in the 6th grade. Decades later we still groan together over that phase ! I love this house and would live there in a minute! Love the Spanish style, especially Spanish Colonial. I went to The Internet Movie Databas (www.imdb.com) and from there to other links and posts, and the only info I could gather is that the house is in Pasadena and at the time of filming belonged to a gentleman by the name of Larry Williams. It was also the temporary police HQ in “The Fast and the Furious.” In that movie, they supposedly refer to the house as “the house Eddie Fisher built for Elizabeth Taylor.” Not sure if this is true or just lines in the script. The decor of the entire house seems a bit dull and worn out, with little splashes of life and color (painting in the bedroom, kitchen dishes). 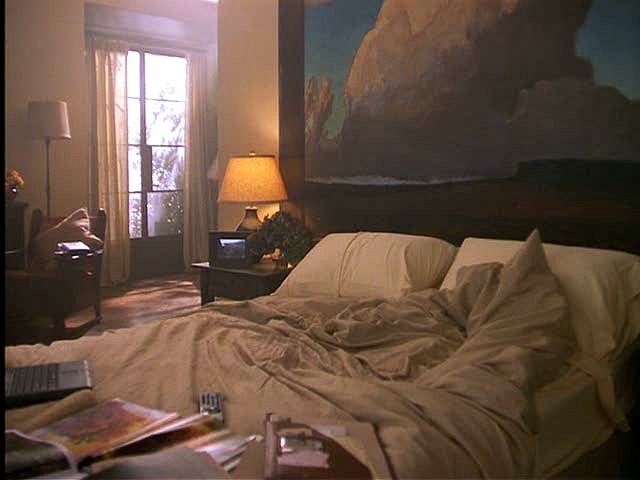 I wonder if that symbolized the tired worn-out feeling Meg Ryan’s character felt about dealing with her sick father. I love your website. I usually kick my morning off by visiting. Such inspiration for a planner like me! I’m wondering, would you ever consider spotlighting the home of “Jessica Fletcher” in Murder, She Wrote. It is so Cabot-Covey. 😉 I’d love to see the details. .-= Kristen´s last blog ..Teaching Our Children Compassion for Others =-. Despite too much green paint, that’s one great house. Oh, to be a working set designer! And of course, I love Meg Ryan — tried several of her haircuts and can’t figure out why they don’t make me look more like her. Ha! .-= Sheila´s last blog ..It’s cold in here: Web site vs. website =-. You know, I can’t help but wonder how many architects are made to watch movies for potential clients who say the house of their dreams is a movie house! I never saw this movie in its entirety because I never saw this house. Architecturally interesting! Now I’ll have to see the whole movie. You’ve done it again, Julia! Thanks a bunch. That widow seat is wonderful–I wish I had a big comfy spot to read the paper with my coffee. Meg does look a little too thin. .-= desiree´s last blog ..Just Listed: Modern Bungalow in Willow Glen =-. oh thank you, thank you, thank you, for collecting & posting these pics… by far my favorite movie house ever!! There is a ” Making Hanging Up” movie/documetary out there I believe it is by HBO. Maybe they gave credit for the location. Most movies ma do some of the filming on location, ie exteriors but need the control that a indoor movie set offers. The interiors have that slightly neglected “how great they must have look back then” look to them. As always I love your site. I love Meg Ryan but have never seen this movie, will have to rent it. Too funny about the coat and the phone! You should also check out her house in the movie ‘In the Land of Women’ ? I loved this house and especially the kitchen when I saw the movie, which wasn’t the best. Maybe that was why I spent my moments looking at the Fiesta dishes and the cozy window seat and thinking, wow, that is a lot of corn stalks . . . It wasn’t Meg’s best, but so good to see Walter Matheau one last time. Kate and Leopold – yes! .-= Penny´s last blog ..Sisterhood =-. Love that window seat! Also, love Meg. She seems so down to earth. .-= cristin @ simplified bee´s last blog ..Smart Eat-in Kitchen Remodel by Louise Brooks =-. Seriously, what IS up with that coat??! I liked the cookie cutters on the wall and the neat window seat in the Kitchen, but the house seems kind of dullto me. This is my favorite movie house of all time! There’s something about the light in it that’s so beautiful. I’d love to learn more about it. I loved the house in this film- the movie was decent- but by the way, I have had flour dumped all over me while preparing Thanksgiving dinner and it was flat out hilarious. Live a little! .-= Rachel B.´s last undefined ..If you register your site for free at =-. The house looks like mine when I broil a steak ..full of smoke ..lol! I use to like Meg Ryan, but I never saw this film ..maybe because of the bad reveiws? I love the cookie cutters on the wall in the litchen because I do the same thing in mine with my collection of copper cutters. I’d LOVE those window seats! Always fun to visit you Julia! .-= Pat´s last blog ..Bonsai at the Brooklyn Botanic Garden =-. I haven’t seen this one yet, but the house looks amazing. I think the long coat thing has to do with Diane Keaton. She’s the director and that screams her style to me. What do you think? Am I reading too much into it? Another fun one! Thanks for sharing. .-= Bella Michelle´s last blog ..Blog Award Monday! =-. 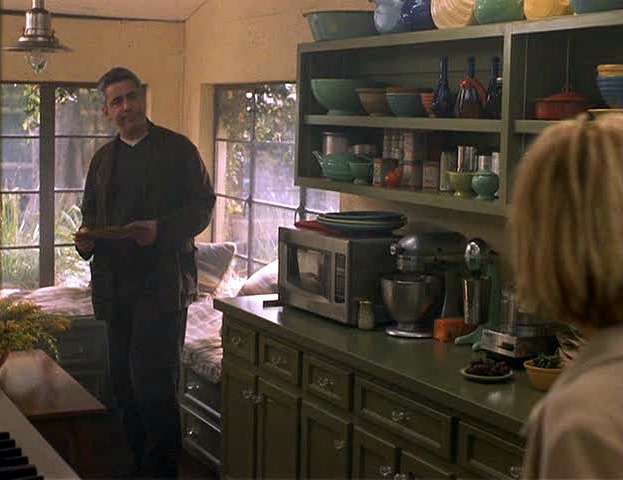 Thanks Julia, this house is amazing, I saw the movie long time ago, and the best of it was this kitchen. I don’t have any info on he house but, I have a request. Have you seen “Just Like Heaven” with Reese Witherspoon? Now that’s an apartment I’d LOVE to know more about. 🙂 Love your site…thanks! .-= McCall´s last blog ..Blame It on the Pop =-. Hi Julia. I like this house a lot but I think that stems from being born and raised in Monterey, CA. It’s a casual style that suits well. I have been looking for the house also for you but I’ve only found the locale on the father’s house. I’ll keep researching. Thanks again, you’re a love. .-= Kim´s last blog ..My viburnum plant =-. You are a patient woman Julia. I have tried to watch this movie three times and the characters exacerbate me so I turn it off. But the house is pretty cool, Ilove the painting over the bed. .-= Robin´s last blog ..For Sherri: Le Chat Botte =-. What I found online, now to Google this address given. The Fast and The Furious: the circular Hollywood house with the pool, where Paul’s cop buddies have set up a temporary police HQ (and which they mention is “the house Eddie Fisher built for Elizabeth Taylor”), is probably atop the Hollywood Hills, between Bel-Air and Sherman Oaks. All I could think of was “Oh , my gosh” when I read Kim’s comment of “The old guy in this movie is from Dennis the Menace”. The old guy in this movie was one of the best actors in Hollywood…..ever. Do yourself a favor and rent some of his earlier stuff. In the scene where Walter is walking down the hallway it is suppose to look stark because it is a flash back in the movie and it is clear by the looks of the rest of the home that they had just moved in. I also loved Megs clothes in this movie…very Calvin Klein less is more. I am pretty sure that the house used as Walter Matthau’s was/is located at the crest of Bel Air Road in Bel Air. It was built for a family named Davis. I was in the house twice in the late 80s when Mrs. Davis was still living there. It was quite a shock to see its condition in the film since the grounds when she lived there were spectacular. The interior furnishings were designed for the house and were elegant and understated. My guess is that the house was scouted after Mrs. Davis died and was used before it was sold. My recollection is that at one time the next door neighbor were the Jules Stynes — very high rent section of Bel Air! I love the movie “City of Angels” with Meg Ryan and Nicholas Cage. The cabin she goes to towards the end of the movie is beautiful. Hi there, love these posts about movie houses. That coat should have got second billing! Just read through your comments before posting, and somebody said Diane Keaton directed? I’d noticed that about five pics down is an ornament of a sleeping Mexican. In Diane Keaton’s house listing (it’s for sale, but I saw it first!) there are several of these ornaments lined up around a fountain in a courtyard. Did she get the idea from this film (which I enjoyed btw), or did she drag one of her sleeping Mexicans onto the set? I feel like an obsessive for even noticing….and of course I am. .-= serenknitity´s last blog ..I feel the earth move under my feet =-. “Hanging Up” in my opinion was a great movie. I thought that it showed in a very realistic way the ups and downs in relationships that exist in many families. I laughed and I cried. I have read that it reflects the pain that Nora Ephron and her siblings endured in their own family. Her parents were script writers. Both died of alcholism. Nora has overcome this experience by writing often in a most humorous way. I thought the scenes where the father’s home were shown were also great. The house was such an example of what one can only imagine a script writer’s over the top Hollywood house to be. I never understood why the public at large didn’t appreciate this movie. I remember this movie coming out and people didn’t care for it, but I actually liked it quite a bit. I loved her house in this movie! 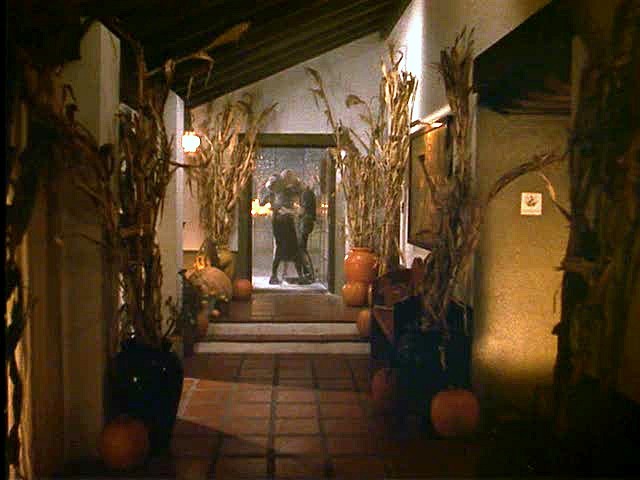 Especially how beautifully decorated it was in the flashback scenes of different holidays. I wish I could get my open shelves in the kitchen to look that nice, sometimes I think I might have to tear down the ones I have and start from scratch. HI,I LOVED THIS MOVIE,IT REMINDED ME OF MY OWN SISTERS AND DEALING WITH OUR DYING DAD.I REWATCH IT ALL THE TIME! I LOVE THE HOUSE IN THE MOVIE I WISH YOU WOULD PUT THE LAYOUT UP,SO I COULD GET IN MY MIND HOW ITS FLOOR PLAN IS! PLUS I WOULD LIKE TO KNOW ABOUT THE HOUSE OVER ALL ,LIKE WHERE ITS BUILT AT? Julia, thank you for doing these! I’ve never seen this movie, but I think I may rent it to get a better glimpse. I love those kitchen shelves with the colorful dishes. Julia, One of my all time movie favorties Hanging Up. Just love Spanish architecture! 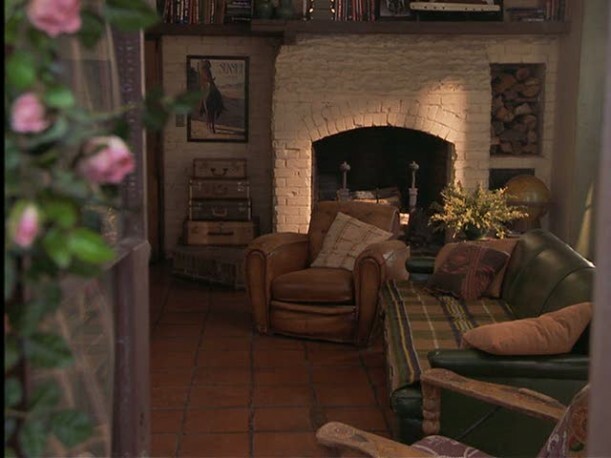 I read a while ago the home was a friend of Diane Keaton’s and they converterd one of the rooms in the house to reflect a large kitchen for Meg’s catering owner character. I havent seen the movie, but must run out and get it. Love the kitchen the best. I am from California and thought it could also be a home that is in the older Rancho Santa Fe or San Diego area. I have the copy of Architectural Digest April 2005 and i’m certain they used Diane Keaton’s real home in Bel-Air for the film, its described as a very private compound (perfect for filming). The windows, doorways, and colourful pots match perfectly to the film. However, the kitchen is a “film set” somewhere else in the home because her real kitchen is Mexican tile on acid. I was in New York last year for a tour of Greenwich Village and the loft in “Addicted To Love” was an actual apartment owned by Meg Ryan. So it seems some stars offer up their homes for sets to help cut costs. Thanks for doing this, I just found this site and LOVE it! What about the dad’s house in this movie. I know I have seen it in other movies, I think it was in Fast and Furious. It has the coolest pool! There’s certain homes that just say family and love. 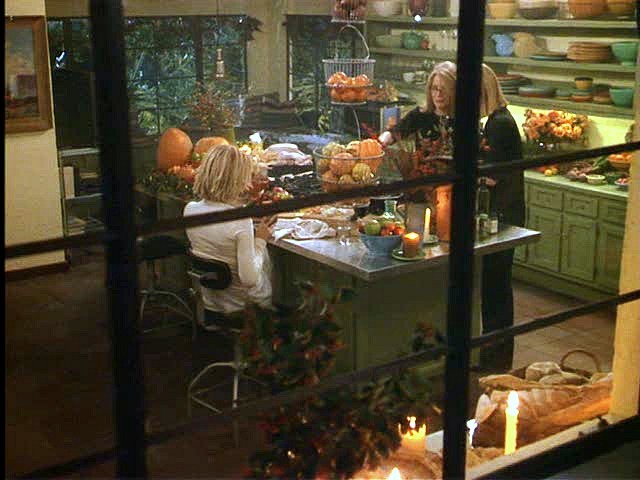 The last scenes where the three sisters are cooking together for Thanksgiving or when they have the birthday party for Eve’s son (before it’s ruined) are so heart warming and sweet. Even though I wasn’t crazy about the movie itself, some films are worth watching just for those homes and moments, it’s everything I want some day. .-= Heidi@recklessbliss´s last blog ..-Snapshot of the Week- =-. 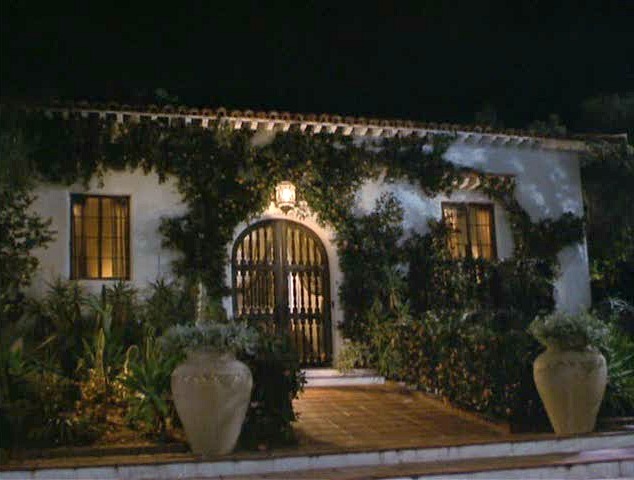 Other Meg Ryan’s incredible house is the one of When a man loves a woman ,movie with Andy Garcia. It’s a beautiful home in San Francisco. Try to find it for us Julia. I love this house! I remember falling in love with it when I watched the movie. When I went to the movies to see this film, I also noticed how interesting and beautiful this house was. Thank you for posting it on your website. Here are a few of my thoughts about this film, but I am by no means an expert in this field: Filming the movie cast in a fog, has to do with Eve’s state of mind throughout her father’s illness. She was in a fog and couldn’t believe what was happening around her. She is always wearing the coat, because she never takes the time to even take it off… she is extremely stressed. I believe when the hallway was empty and her dad was leaving her house, it was not decorated intentionally to give it an institutional feel. He was in need of rehab or a hospital stay because he was an alcoholic. 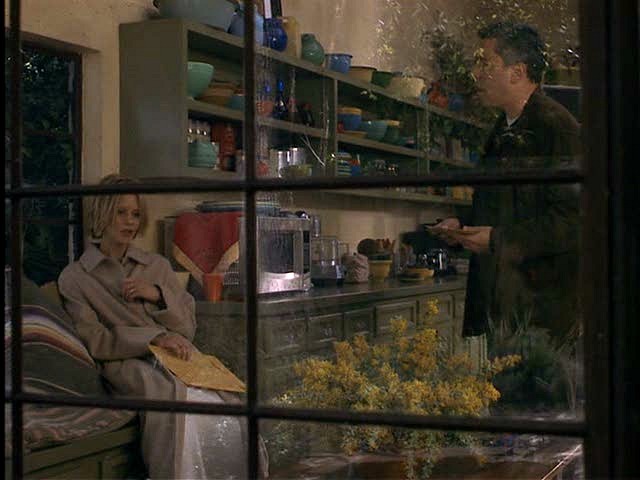 Also, this scene happened years ago when Eve had just moved into the house and had not yet decorated. One thing that I have been trying to find for years, is that beautiful leather tote bag she carries around. She used it for her work and even carried Chinese food in it at one point during the movie. For years I have always tried to copy Meg Ryan’s style, especially her hair. This was the one time my husband whispered to me in the movie theater, “Please don’t get your hair cut like that.” Well, I did and I must say it looked much better on Meg. Can’t wait to read everyone’s comments and peruse the rest of the site. I enjoyed this movie, but I have had long day dreams about Meg’s house in this movie! I just stumbled upon your blog and am thrilled that you take the time to write about fantastic homes that are showcased in movies… Yes! My absolute favorite part of her home in this movie is the entry…when she displays oh so many hanging jack-o-laterns… very touching scene…and very dramatic holiday display… I loved it all! Thanks for the excellent writings…!! I just noticed tonight that this home was also used in the Season 6 episode of the West Wing entitled “90 Miles From Here”. It played the home of Fidel Castro in Cuba where the President’s former Chief of Staff, Leo McGarry snuck off to in order to assess the dictators health and negotiate a possible end to the embargo. It only appeared for a few brief seconds at the beginning of the episode as Leo walked through the unmistakeable front doors and down the long center hallway.